Joe Herman, left, and Deven Senior are taking over the former Usual space on Shrewsbury Street. The restaurant space at 166 Shrewsbury St. is changing its name — not to mention its owners, concept, menu and decor — again. And under its new banner, at The Chameleon the changes will keep on coming. Planning a June 26 opening, The Chameleon — which will feature a distinct menu and concept for each of the four seasons — will take over the space briefly occupied by The Usual after years of success, and ensuing moves to larger homes, by Niche Hospitality Group’s Mezcal Tequila Cantina and The Fix Burger Bar. The Usual, billed as a creative sandwich eatery, closed on May 28, about six months after opening, amid fallout from the arrest of Kevin Perry, who owned the property and whose wife, Stacey (Gala) Perry, is listed as the restaurant’s owner. The Chameleon, 166 Shrewsbury St.
Kevin A. Perry Jr. is accused of using millions of dollars in illicit drug profits to buy several properties in Worcester and Millbury, including 166 Shrewsbury St. and The Blackstone Tap at 81 Water St. He was arraigned in U.S. District Court on March 21 on nine counts of money laundering, three counts of aggravated cash structuring, one count of making a false statement on a loan application and one count of distribution of fentanyl. On May 15 Stacey Perry announced on The Usual’s Facebook page that she would be closing the restaurant due to the “strain” her husband’s situation put on the business and their family. The Usual’s former general manager, Joe Herman, and executive chef, Deven Senior, are in the process of taking over the restaurant. The duo will manage and operate the eatery while Stacey Perry remains as a silent partner until negotiations with law enforcement officials to sell the restaurant — to Herman and Senior — can be concluded. According to Herman, Stacey Perry is working with the federal government to purchase the building, which is among assets owned by Kevin Perry frozen and potentially marked for seizure by the government. The Department of Justice on June 15 approved the opening of the restaurant and the sale of the building to Stacey Perry, sources said. Herman and Senior cannot purchase the business until Kevin Perry’s court proceedings are complete. Herman and Stacey Perry each declined to elaborate further, citing ongoing negotiations and the advice of legal counsel. For Herman and Senior, it’s been a long, strange trip to this point, but the pair believes in their new concept and certainly have no plans to slither away. Herman, born and raised in Worcester was co-owner and manager of the former District Bar on Green Street (now site of The Hangover Pub) and most recently was manager of the Hooters in Shrewsbury. He met Senior in 2014 when both worked at Highfields Golf & Country Club in Grafton, where Senior worked as executive chef for six years in his hometown. 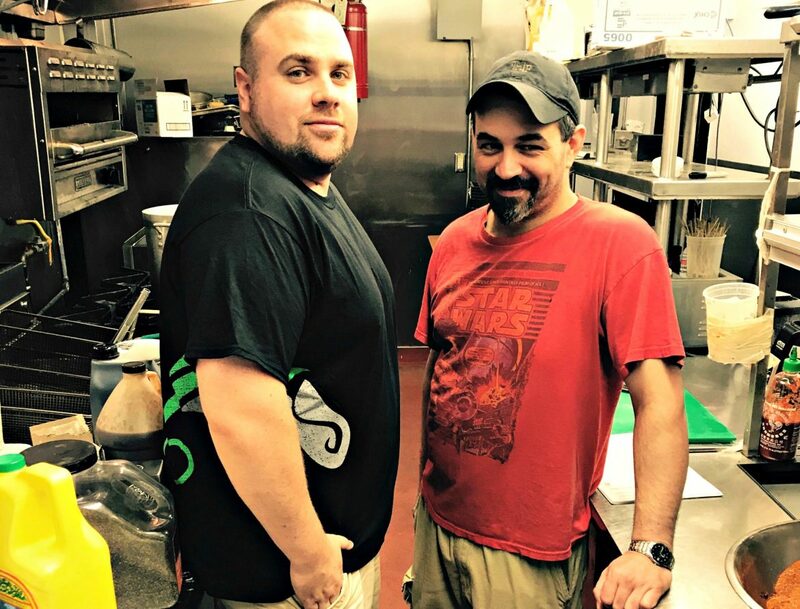 According to Senior, the BBQ-style menu will feature ribs, brisket and pulled pork, as well as other items that will separate The Chameleon from popular BBQ restaurants in Worcester like Smokestack Urban Barbecue and West Side Steak and BBQ. The pair are brainstorming concept names for fall and winter and deciding which direction to go for spring. “We have to keep everything moving. We’re going to change from one concept to another. And hopefully we can attract the people in the city to each new concept. I think it will go smoothly,” Senior said. The bar has been upgraded, along with several other updates from the space’s Usual days. Herman said the plan is to train staff members for two straight weeks at different intervals before introducing the new concept at each season. The staff will work overnight before the change to make alterations to the aesthetics, update the menus and bar selections, and make necessary adjustments to the kitchen and dining areas. The menus for The Chameleon will be presented on tablet computers to allow the staff to easily make updates, change daily and weekly meal or drink specials, and save money on printing. 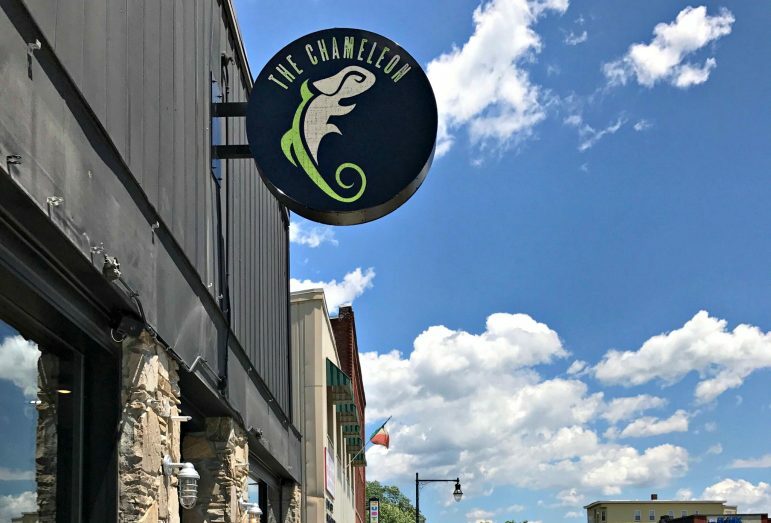 Ten former staff members at The Usual have been hired to work at The Chameleon. Herman said he has made additional hirings anticipating the large number of guests the new restaurant will attract. Aesthetically, the dining room and bar will look similar to the former layout but will feature cosmetic changes: the walls have a new coat of paint, digital displays were added, lighting upgraded, outdoor signs and awnings updated, and a large frosted glass window featuring The Chameleon logo installed in the private dining area. Herman said they plan to add more draft beer taps to the existing 16-line capacity, and small sample beer and cocktail flights that will change with the seasons. 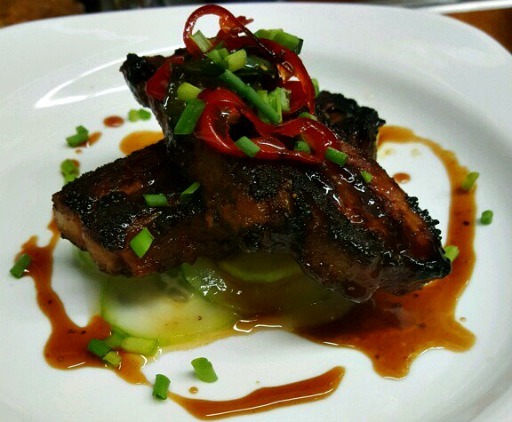 The Chameleon will open on Monday, June 26, with a grand opening event planned for June 30. Hours of operation will be 11 a.m. to 11 p.m., Monday through Thursday; 11 a.m. to 12 p.m., Friday and Saturday; and 11 a.m. to 10 p.m., Sunday.